Madam, your Vodka gimlets are showing. Vodka, that's an alcohol rub from the inside. 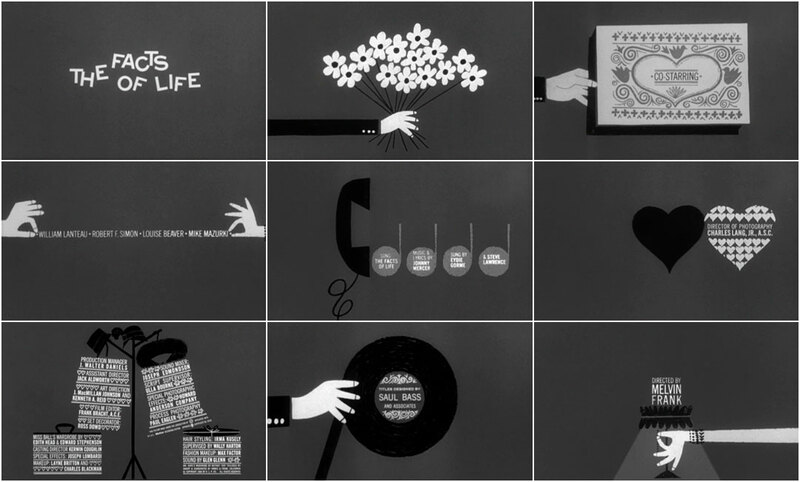 Author Pat Kirkham discusses the opening titles for The Facts of Life, from her authoritative book Saul Bass: A Life in Film and Design. 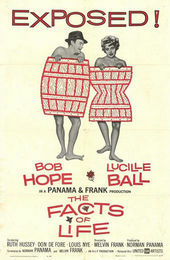 This comedy about a romance between two middle-aged people (Bob Hope and Lucille Ball), each married to someone else, was an opportunity for Saul to create funny gags to the strains of Eydie Gorme and Steve Lawrence's upbeat title song, “The Facts of Life.” The rituals and accoutrements of courtship provide the raw material for a series of visual jokes.